The aggressiveness of a track exhaust and the refinement expected of a daily driver. This system is designed to provide a more aggressive sound under acceleration, while reducing drone inside the vehicle. Dinan's Free Flow exhaust system features 100% stainless steel construction measured to exact specifications to ensure proper fit via factory hangers and mounting points. Dyno tuned for maximum exhaust flow with minimum back pressure, this system is designed to provide a more aggressive sound under acceleration, while reducing drone inside the vehicle. This is accomplished thanks to a computer controlled valve that limits noise during low speed driving and opens fully during high-load conditions to allow free flow. 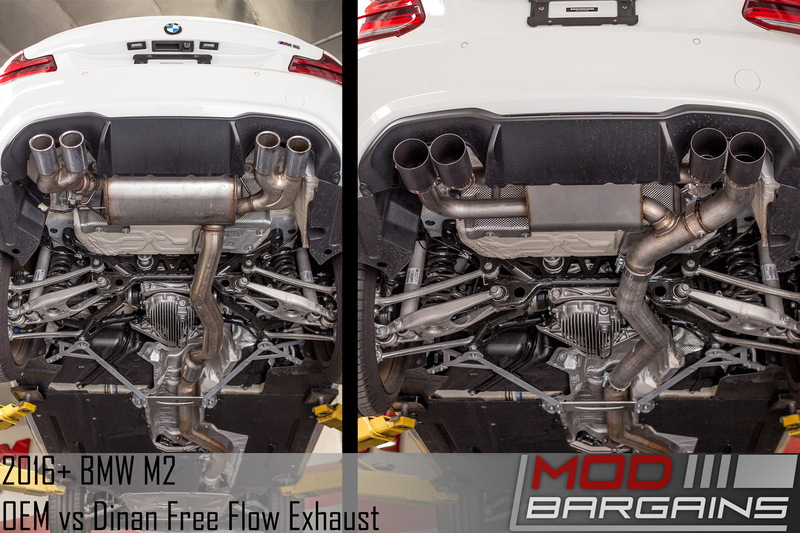 For maximum enjoyment and sound when the valve is opened on the M2 exhaust the system becomes a straight pipe to achieve peak power, flow and tone. 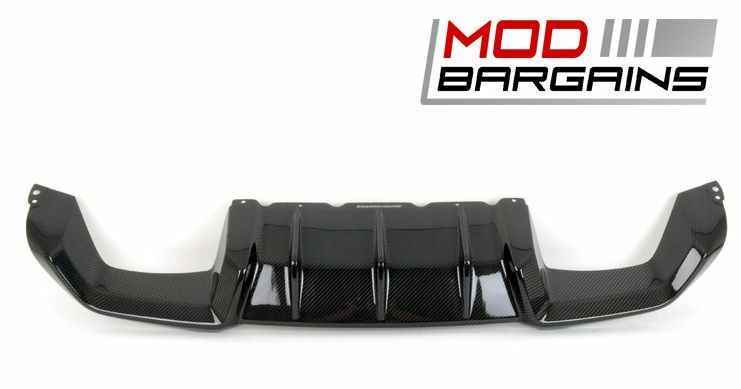 No matter if the valve is open or closed the exhaust gasses make their exit via Dinan's signature enlarged, laser engraved, black ceramic quad tips. Not only will your M2 sound breathtaking, it will look the part as well.